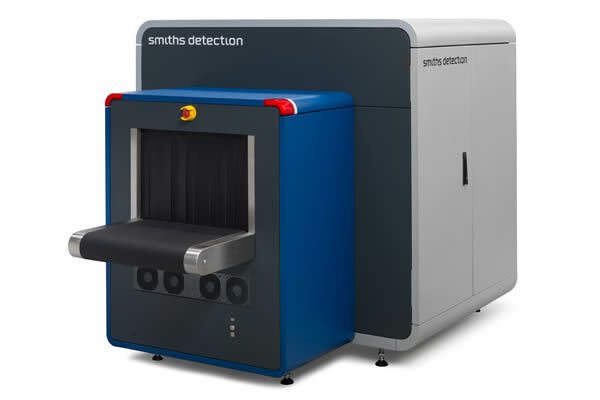 Smiths Detection has introduced the eagerly awaited HI-SCAN 6040 CTiX checkpoint scanner – the first to feature the company’s proprietary CT (Computed Tomography) scanning technology. Launched today at Inter Airport Europe, the HI-SCAN 6040 CTiX eliminates the need to remove electronic devices and liquids from hand luggage, subject to approval from the appropriate local authorities. This will expedite screening and make the process more passenger-friendly. Simply handling fewer trays can significantly increase checkpoint throughput, while the impressive 0.2m/s belt speed and low false alarm rate also speed up the process. To minimise upgrade costs, the new scanner can be easily incorporated into existing checkpoint lanes. Integration into an advanced screening and management platform, such as Smiths Detection’s Checkpoint.Evoplus, will streamline operations even further through remote screening and directed search, as well as providing access to valuable management data. Further planned enhancements for the HI-SCAN 6040 CTiX focus on the automatic detection of prohibited items such as guns and large knives, potentially meaning operators will no longer need to review every image. CT scanners examine baggage contents from every angle and generate 3D images with very precise data so more accurate judgements can be made on substances within the bag. Although first used for hold baggage scanners in the early 1990s, the checkpoint environment demands something much smaller, lighter and less intrusive. Therefore it has taken time for both regulatory and technological advancements to make CT a viable option for screening cabin baggage. The HI-SCAN 6040 CTiX has been submitted for relevant testing for EDS CB C3 and TSA programs. The first systems will be available in early 2018.